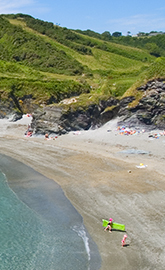 Beaches - Lansallos Bay Lansallos Bay is a beautiful little enclosed bay making swimming in the sea sheltered. This beach is also dog friendly. 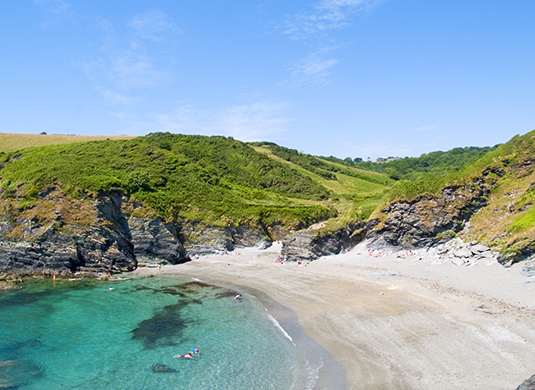 The National Trust car park is just above the church and there is a walk of under a mile down to the sea. When you walk up, in season, have a cream tea at Lansallow Barton.